Only those who have confirmed reservations will be able to attend and are subject to approval. As a courtesy to other guests: first time attendees only, please no children, business casual attire suggested. Held at the Bank of Utah’s executive board room, seating is limited to only 20 guests so tickets are limited to two per household. Workshop offered through a partnership with Cetera Advisor Networks LLC, member FINRA/SIPC helping Bank of Utah customers for over 15 years. There is no cost and no obligation during attendance. Attendee reservations are subject to advisor approval. This workshop is designed to provide general information on the topics covered. Individual or specific tax or legal advice is not intended. Please consult your tax or legal advisor. Not affiliated with, nor endorsed by the Social Security Administration or any other Government Agency. Securities and Advisory services offered through Cetera Advisor Networks LLC, Member FINRA/SIPC.  Bank of Utah and the Bank of Utah Investment Center are not affiliated with Cetera Advisor Networks LLC. Cetera is under separate ownership from any other named entity. Investments are not FDIC insured, not bank guaranteed, not a bank deposit, not insured by a federal government agency and may lose value. The CERTIFIED FINANCIAL PLANNER™, CFP® and federally registered CFP marks (collectively, are professional certification marks granted in the United States by Certified Financial Planner Board of Standards, Inc.